For almost 25 years, Kevin M. Plante, Esq., the founder of General Counsel Law LLC ("GCL"), has represented schools, nonprofits, businesses and individuals, nationally and internationally. He has helped clients in diverse legal matters involving areas of law including contract, employment, education, construction and litigation. Mr. Plante is your outside General Counsel. He does no hand your work off to a young, inexperienced associate as lawyers at law firms often do. He handles your legal matters directly and brings to bear his experience, knowledge, sophistication and effectiveness. GCL provides cost effective legal services. Whether you choose an hourly fee or a flat or subscription-based fee, GCL will prove to be cost-effective and less expensive than competing law firms with high overhead costs. Mr. Plante served as General Counsel at a large private school for years before forming General Counsel Law LLC. 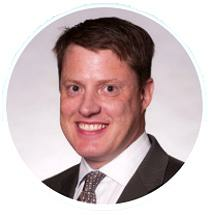 Prior to working as General Counsel, he was an associate at White & Case LLP in New York. Mr. Plante regularly drafts, reviews and negotiates agreements. He prepares compliance policies and procedures and delivers presentations and trainings on diverse and complex laws. He has litigated cases in state and federal courts, as well as in administrative proceeding before various agencies. Mr. Plante advises Boards of Trustees at schools and other organizations on legal and business issues. Reputation Matters. Mr. Plante is fully prepared to help preserve your reputation. He can perform a Legal Audits of your organization, such as an Employment or Board Governance Audits. Mr. Plante prepares reports with specific preventative measures that he recommends employers implement to proactively reduce the risk of litigation other costly legal problems. If you need legal assistance, please contact Kevin M. Plante, Esq. directly at 617-784-8396 or plante@gcoutside.com. You can schedule a meeting at GCL's office in Boston or Arlington or Mr. Plante can travel to your organization. Mr. Plante has handled many pro bono cases throughout his career. Mr. Plante has been awarded various trial and appellate honors and awards.